In Israeli-Palestinian conflict the policy “meet quiet with quiet” turned on July 2014 to violence leading to ongoing operation Protective Edge. Again one can see usual vicious cycle like few times before: Hamas terrorizes Israeli civilians with rockets, Israel responds and tries to disarm Hamas’ terrorist infrastructure, the innocent civilians on both sides of the border are paying the price, once again, and that military action will not guarantee long-term stability or peace. Hamas is trying to claim a symbolic victory over Israel. But the longer the conflict lasts, the more complications the militants in Gaza face as they see their threat of force erode with time – that their tool is becoming less effective. Since the beginning of the operation, more than 2200 terror targets in Gaza have been eliminated, however the real conflict is yet to follow if all three possible stages – an integrated air and sea assault, a ground operation from the Army, and the third part if needed would be expanding the operation including recruiting more reservists- will be implemented. The coming days will show whether this conflict will end as earlier ones or is it sliding into a full-blown war. Media attention in Israel and abroad is starting to shift to Ukraine for the first time in days after reports are flooding in that a Malaysian Airlines commercial jet was shot down. Already earlier there was competition for media space due IS(IS) activities in Iraq and Syria. My forecast is that in one to three weeks (depending how deep ground operation Israel implements) there will be a ceasefire for two-three next years. End of story? Not yetas in my opinion this time there are few aspects which are significant in comparison to earlier operations. I would like to highlight three of them: Increased capacity of Hamas, critical attitude from Arab states which is making the political impact of Hamas operation less effective and civilian to combatant deaths ratio. Hamas has now better capacity to implement its operations due two significant means – the new longer range rockets and the offensive tunnels. A novelty in this latest conflict is the apparent use by the Palestinians of an even longer-range system – thought to be a Syrian built-missile – the Khaibar-1. This was first used earlier this month and has a range of up to 160km which brings Israel’s northern coastal city of Haifa within reach. A weapon that crops up in some of the reporting has the designation M-302 which has a similar range. Range here is crucial. Bringing the population of major Israeli cities under threat, however inaccurate the weapon, causes huge disruption and fear. Earlier Hamas has used shorter-range systems like heavy mortars and Grad and Qassam rockets with ranges of up to 48km (30 miles) and 17km respectively. They threaten towns and cities in southern Israel, like Sderot, Ashkelon and even Beersheba and the port of Ashdod. There is also the longer range Fajr-5, sometimes also designated the M75. It can reach up to 75km, threatening major population centres like Tel Aviv and Jerusalem. The latest generation of rockets it has acquired can reach the population center of Israel: the triangle of Jerusalem, Tel Aviv and Haifa. However, these are rockets, not missiles. That means they have no guidance system, and their point of impact once launched is a matter of chance. 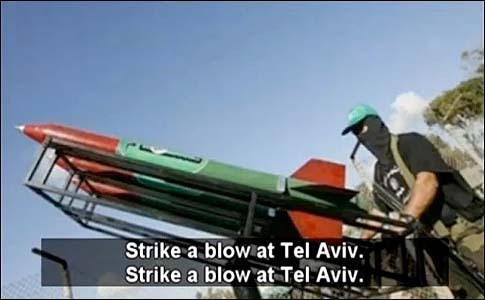 Given these limits, Hamas hoped having a large number of rockets of different ranges would create the risk of substantial Israeli civilian casualties, and that that risk would deter Israel from action against Gaza. However for example using the Fajr-5 brings huge practical problems. It is heavy and fairly large – some 6m (20ft) tall. It requires mechanical handling and needs to be pre-positioned in hidden launch sites and camouflaged from the prying eyes of Israeli drones. For the first time in this conflict rockets were fired from Lebanon at Israel, targeting the northern town of Metula early on Friday. According to defence sources they were likely fired by a Palestinian group, and not by Hezbollah. In addition it’s now been discovered that what the IDF shot down on 14th July was not a rocket, but an unmanned drone launched from Gaza. This represent an escalation of Gaza’s capabilities and attempts to attack Israel. The drone was shot down by a Patriot missile and it was the first time a Patriot has been launched at a target in Israel in 20 years. Israeli sources admit that they have been surprised by the extent of the tunneling under the border. This “blind spot” in Israeli intelligence can be explained by the strict compartmentalization of the digging operation in Gaza, which was not carried out not by Hamas members, but by families from Rafah which specialize in tunneling. These families controlled the smuggling tunnels from Egypt and were brought in as contractors by Hamas. Israel is now claiming that a large proportion of the concrete it allowed into Gaza in recent years for civilian building was used in the tunnels’ construction. This tunnel system was designed to be the Palestinian Islamists’ highest strategic asset, Around 16,000 men, around 15 percent of Hamas’ fighting strength, were assigned to the tunnel project in the last five years and substantial funds. On Oct. 10th , 2013 Israeli Army discovered a tunnel dug by Palestinians from east of Abasan, in southern Gaza.According Al-Monitorthe passageway lies 20 meters underground, is 2.5 kilometers long, and has a ceiling high enough to accommodate a man of average height. The tunnel is also remarkably wide. Its construction required 800 tons of concrete and cost an estimated $10 million. Some 100 workers toiled on it for more than two years. It was equipped with a communications network and electricity and contained stockpiles of cookies, yoghurt and other foods to allow for stays of several months. So far, Hamas has lost 13 of these kind of offensive tunnels, some of which Israel possesses both ends of, with Israeli troops having taken control of the entry points in Gaza. Still ahead of the Israeli operation, after the troops finish cleansing Shejaiya are similar challenges to dismantle Hamas’ offensive capabilities in another three of their Gaza City strongholds: Shaati, Al Bureij and Nuseirat, before Hamas’ terrorist infrastructure can be said to have been disarmed. Israel is making every effort to find and destroy all of the remaining tunnels before Operation Protective Edge comes to an end. It is estimated that construction similar tunnels takes around three years. The role of civilians during ongoing operation Protective Edge is traditional one: Hamas and other Palestinian terror organizations intentionally target Israeli civilians and use the population of Gaza as human shields, storing and firing rockets from within populated areas. One example during this ongoing operation was when twenty rockets have been hidden in a Gaza school operated under the auspices of the United Nations Relief and Works Agency, officials from the organization confirm. UNRWA officials in Israel are summoned to the Foreign Ministry in Jerusalem, where they apologize to Israel for the incident. Despite this United Nations officials handed the rockets found in Gaza school over to Hamas so they can be shot at Israel. Israel aims to targets included buildings used by the Hamas leadership, the homes of senior Hamas members, tunnels, underground launchers, communications infrastructure, military bases, and weapons caches. The IDF and Shin Bet intelligence agency joint targeted the homes of a series of Hamas leaders that were used as command and control centers by the military wing of Hamas. Israel does not intentionally target Palestinian civilians; in opposite the IDF takes extraordinary measures to avoid Palestinian civilian deaths. This is the core difference between Israeli and Hamas approaches and in my opinion it will give justification to this discussion about disproportion. As example Col.Kemp probably has earlier Gaza operation Cast Lead (2008-2009). The militants are hiding, and their weapons are located, among their own people. For example, Israel has bombed 1,100 targets in Gaza in Operation Protective Edge, with an average of one civilian killed per 14-15 attacks. In the war in Kosovo, 500 civilians were killed in 900 air attacks by NATO forces, i.e. more than one fatality per every two attacks. It is worth noting that many of the civilian casualties can be attributed to Hamas’s use of human shields, as they have encouraged civilians over and over again to become human shields as an “effective strategy” in the PR war against Israel. In addition, several of the rockets fired from Gaza have never made it on to Israeli soil, and may be partially responsible for Palestinian Arab deaths from within Gaza itself. According to the IDF Spokesperson’s Office, over 100 rockets fired at Israel have fallen short of their targets, causing an unknown number of deaths. In addition Hamas has also during Operation Protective Edge executed many Palestinians due to collaboration or spying for Israel. Saying all above I estimate that the civilian to combatant deaths ratio during Operation Protective Edge will be much higher than in previous operation as the targets are now better hide among civilian population and because of encouraging civiliansto become human shields. Speaking about Israeli civilian deaths I expect them to be minimal like during earlier operations. Sure more people are in danger due to Hamas’ new rockets but also there is better Iron Dome system for protection. Iron Dome batteries are made up of interceptor missiles: radars and command systems that analyse where target missiles might fall and only intercept those deemed to be heading for civilian areas. ( More about Israel missile defence in my article ( More about Israel missile defence in my article Will Iron Dome balance the Hamas Terror? ) . Israel has also invested – as opposite to Hamas – lot of efforts for warning signals and shelters for Israeli civilians. All this means that the death ones in Israeli side will be soldiers especially if ground operation takes more weeks to end. The offensive waged by Hamas against Israel from the Gaza Strip has sparked intense criticism in the Arab media, reflecting the movement’s deteriorating status in the Arab world.Media in Saudi Arabia, Syria, and Egypt blame Hamas’ actions for inviting Israeli counter attacks and prioritizing conflict over the safety of the Gazan population and criticized the leadership for waging war far from the conflict, a Middle East Media Research Institute (MEMRI) report shows. What’s motivating Hamas to commit suicide – or temporary one at least – now? One reason might be that the last few months it has become quite clear that the economic crisis in the Gaza Strip is dictating the fate of the movement and its leaders. Egypt has closed the Rafah crossing is closed; there aren’t enough tunnels to bring in ammunition, luxery items and other merchandise for profits of Hamas elite which lacks money to pay salaries to its bureaucrats and fighters. The latestPew poll shows that only 35% of Palestinians have a favorable view of Hamas. About 63% of those in Gaza and 47% of those in the West Bank have an unfavorable view. That means that the political position of Hamas has done a 180 degree turn. The survey also found that 65% of Palestinians worry about Islamic extremism, consisting of 79% of those in the Gaza Strip and 57% of the West Bank. On the other hand in the West Bank residents speak admiringly of the Islamist militant group Hamas while despairing that Abbas’s advocacy for nonviolence has led nowhere. It is claimed from The Palestinian side that the timing of Protective Edge is aimed at derailing a fragile Palestinian reconciliation deal that brought together the various factions, including Hamas, under Abbas’s leadership. The battle between Israel and Hamas has laid bare just how little impact the unity deal had on the ground. Abbas has virtually no presence in Gaza, and he lacks the ability to influence events there. Anyway an indisputable loser of ongoing operation is Palestinian Authority President Mahmoud Abbas, who this spring was Israel’s partner in U.S.-brokered peace talks but has now been relegated to bystander status. From Israeli side the official justification for yet another shelling of the Gaza strip, after the 2012 “Operation Pillar of Defence” and the December 2008 “Operation Cast Lead” is the usual one. These strikes are necessary, the Israeli government claims, to destroy devices and bases used for the launching of rockets aimed at Israeli towns. 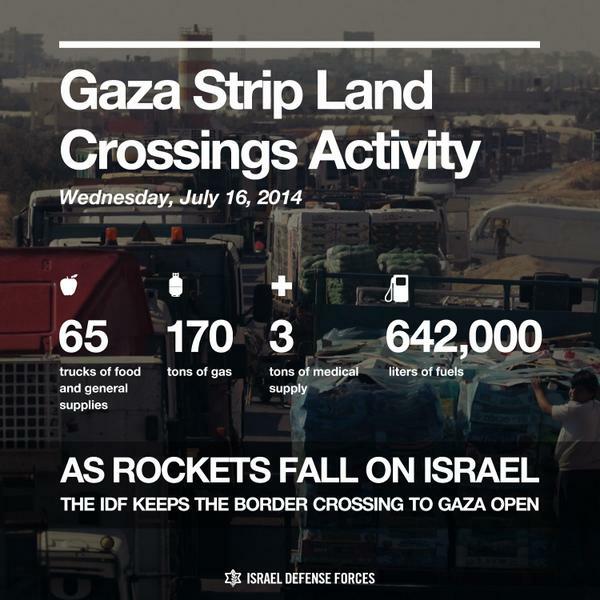 Since Israel withdrew from Gaza in 2005, terrorists from the strip have fired more than 8,000 rockets into Israel. Military action, however, is not a long-term solution, as Israeli operations in 2012 and 2008-9 showed. Israel seized Gaza in 1967 and withdrew in 2005. It is hard to see how re-occupation would serve Israel’s interests. American-mediated negotiations between Israel and the Palestinian Authority failed in April 2014. After that, Mahmoud Abbas, the Palestinian president, reached a reconciliation agreement with Hamas, which has lost support in Egypt and elsewhere in the Arab world. That moment could have been a chance to erode Hamas’s political standing further and boost Palestinian moderates like Mr. Abbas. The agreement created a government that had no Hamas members, reaffirmed the Palestinian Authority’s longstanding commitment to living in peace with Israel, and would have given the authority a foothold in Gaza. Israel strongly opposed American recognition of the new government, however, and sought to isolate it internationally, seeing any small step toward Palestinian unity as a threat. Israel’s security establishment objects to the strengthening of West Bank-Gaza ties, lest Hamas raise its head in the West Bank. Many Israelis however understand that a unified Palestinian leadership is a prerequisite for any lasting peace.The current escalation in Gaza is partly result of the choice by Israel and the West to obstruct the implementation of the April 2014 Palestinian reconciliation agreement. In my opinion the reconciliation government could have served Israel’s interests. On basis of reading different analysis and looking the mood in some social media forums I think that the idea of taking unilateral steps is gaining ground from the centre-left to the centre-right. One of the possible solutions is The Bennet’s sovereignty program. Economy Minister Naftali Bennett has proposed to apply Israel’s sovereignty to Area C, beginning with the major settlement blocs. After the recent breakdown in the negotiations with the PLO Bennet said that this was the time for Israel to put its own initiative on the table, and start to “move forward after 20 years of trying one track, which has met with no success.” Likud Ministers Israel Katz and Gilad Erdan, as well as Knesset Speaker Yuli Edelstein, have spoken recently about applying Israel law to Area C of the West Bank. So my conclusion about operation Protective Edge is that it updates Hamas capasity to terror Israel as well shows the ability of Israel to protect its civilian population. After too many civilian deaths on Palestinian side and after Hamas capacity is destroyd enough for couple of next years and when Hamas in their propaganda can show its strength to fight against Israel there will be ceasefire facilitated by Egypt, Qatar and/or USA in one to three weeks. After that there might be some peace talks round again without result and both parties start to implement their unilateral actions. Is this forecast right or wrong remains to see, but this kind of scenario is from my perspective very possible. Free movement is one fundamental human rights not only in one’s own country but also abroad. Visa restrictions play an important role in controlling the movement of foreign nationals across borders. They reflect also the relationships between individual nations as well the status of a country within the international community of nations. The main travel document is passport. Citizenship documented in passport regulates the level of free movement over borders; holder of one passport can travel relatively free around the globe while the choices of the holder of other passport are very limited. So passports can be ranked according to the visa-free access their holders. Visa restrictions change according to the political situation at any given time. For example some 20 years ago citizens of Yugoslavia could travel relatively free, but the breakup wars changed situation completely. The “European perspective” is key concept for integrating western Balkans into EU. For ordinary people freedom of movement might be the main carrot after nearly 20 years of isolation. To travel from one country to other is a fundamental freedom restricted however more or less depending about which passport the traveler holds. Generally speaking the freedom of movement has increased a lot globally as well in Balkans. Apart that I would like to point out some trivia. The new Kosovo passport, first issued by the Kosovo Government in July 2008, is still one of the least useful travel documents ever designed. 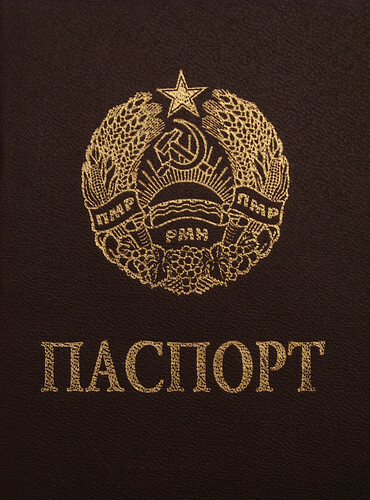 Passports for example from North Korea, Myanmar, Yemen and Syria are more valid than Kosovo passport as well one from the newest countries – South Sudan. Passport is not only travel document – it has also its wider political and business aspects. For example Romania distributes its passports to its Moldovan neighbours (rank 138) so that they can travel easier e.g in EU. Russia (rank 75) gives easily passports to Ukrainians (rank 96) to make stronger ties with Russian-speaking population abroad. During Balkan wars it was also quite popular to give Bosnian passports to foreign Muslim-fighters or Jihadists (and later leading al Qaeda figures) for their support in civil war. It is estimated that that every year, several thousand people spend a collective $2 bn ( €1.5bn) to add a second, or even third, passport to their collection. Those with money can select from half a dozen countries offering a direct citizenship-by-investment route with no residency requirements. The cheapest deal for citizenship is on the tiny Caribbean island of Dominica (rank 83) where for an investment of $100,000 plus various fees, as well as an in-person interview on the island, citizenship can be bought. In better ranking Cyprus (rank 38) the costs are between €2-5 million depending program. Last year the government of Malta announced proposals to start selling citizenship of its nation to foreigners for €650,000, however after EU pressure applicants will now be required to spend at least a year in Malta in order to qualify. Several European Union countries – e.g UK, Spain, Belgium – or USA do not offer citizenship for purchase outright, but do offer residence permits to wealthy individuals; that include free movement within the Schengen area, in exchange for high fees and the requirement to invest in the country. The passport rank shows also one peculiarity related to international aid and development. In Balkans besides Kosovo also Bosnia-Herzegovina together with Albania have the worst scores despite the fact that EU and international community have guided and supervised these regions towards “European standards” nearly twenty years with huge state- and capasity building measures and billions of bucks. So has EU failed with this task as those countries without outside supervision are getting visa-freedom earlier? One could also conclude or claim that the EU is isolating three mainly Muslim European states/regions – Albania, BiH and Kosovo – and Turkey (rank 76, visa-free access to 94 countries) as some in the EU fear the presence of such a large, Muslim community inside traditionally Christian Europe. Of course EU denies political aspects and highlights only the technical ones but from Balkan perspective the impression can differ. You are currently browsing the Conflicts by Ari Rusila blog archives for July, 2014.